Preschool Spots Now Open. Connect with us at (516) 326-5800 or fill out the form on this page. Set in the heart of Westbury, Brookville Center’s Post Avenue School offers the highest-quality early childhood program in a nurturing setting, where children of all abilities can learn and grow together. An Integrated Method. 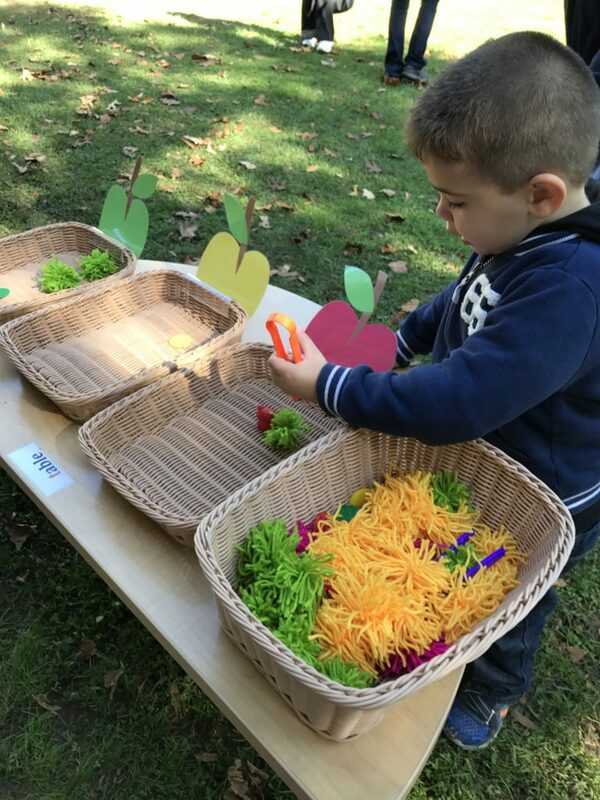 Each child’s unique strengths and opportunities for growth are supported through play-based and developmentally appropriate activities. We support 90 preschool children of all abilities. Led by a caring and professional team of certified special education teachers and certified teaching assistants, we offer 4 integrated classes with 15 students. We also have 2 preschool classrooms dedicated to children with special needs. A Superior Team. We take pride in inspiring children to explore and learn, with the very best educational supports. Our teachers have a minimum of a Master’s degree and our teaching assistants are certified. The preschool integrated classrooms have a 15:1:2 ratio [15 students (8 children without developmental delays and 7 children with developmental delays), 1 Special Education Teacher, and 2 teacher assistants]. The preschool special education classes have a ratio of 8:1:2 or 10:1:2 (8 or 10 students with developmental delays, 1 Special Education Teacher and 2 teaching assistants). In addition to the classroom staff, each class is supported by a therapeutic team dedicated to speech and language, occupational therapy, physical therapy and play therapy. The Creative Curriculum. This research-based framework for every classroom focuses on children’s individual learning styles. We utilize proven teaching strategies through programs such as Handwriting Without Tears, art and music. Outdoor Programs. In addition to an outdoor classroom concept, we offer a wonderful outside playground with physical education equipment for play and exercise, as well as a beautiful grass courtyard for running, gardening, playing ball, games, picnics, sand/water play, exploring nature and extracurricular activities. Our Philosophy of Kindness. Each child is taught to cultivate kindness by increasing awareness of how to express his or her feelings and better understand others’ feelings, instilling sensitivity about all backgrounds and abilities. An Open Door Policy. Families are always welcome to stop by and join in the activities! Preschoolers are provided with an educational integrated school setting from 8:30 a.m.- 2:30 p.m. each day. Preschool children in need of extended hours are provided with an additional developmentally appropriate preschool program for any hours required both before and after the hours listed above. The extended day program is geared towards reinforcing concepts and skills learned during the educational day as well as providing additional opportunities in fostering independence, socialization, free play and kindergarten readiness.